Regular readers of this blog – and anybody who’ll listen – will know that I’m a big fan of physical QWERTY keyboards on mobile phones. I’m much less fond of virtual ones, such as that found on the iPhone or my Android-powered HTC Magic. My current day-to-day phone is a Nokia E71, which I’ve found to have the best QWERTY to-date, but my love affair with mobile QWERTYs started way back when I bought my first Palm Treo (see my GDGT profile, if you’re interested in my gadget history). 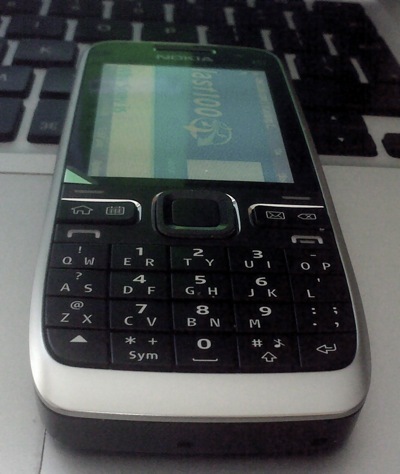 I was therefore intrigued when Nokia announced the E55 with a keyboard that the company describes as a compact-QWERTY. Similar to BackBerry’s sure-type layout, each key houses two letters. The option of predictive text helps to smooth over this obvious compromise but then on the other hand you get the advantage of a candy bar form factor, and in the E55’s case, a very slender one too. Over the next few weeks I intend to put the Nokia E55 through its paces and see how well I do on half a QWERTY. Watch this space. People will see more interesting information just about Can I survive on half a QWERTY? Nokia E55 in the house, if <a href=” http://www.supremeessays.com“>buy an essay or buy paper at the writing services!